Actually I’m going by memory about the composition of this fabric. 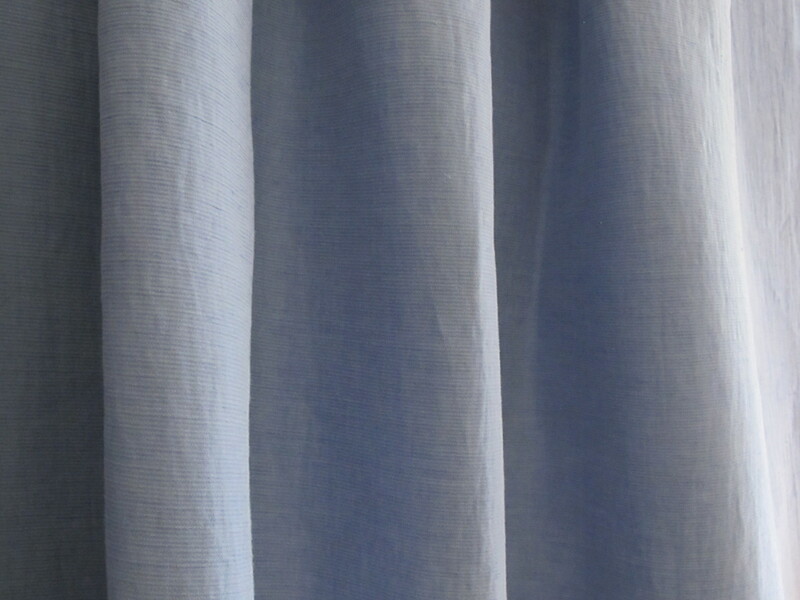 It definitely has a high linen content but there is something else as well, some cotton I am sure but maybe even a little bit of viscose. The dominant element though is linen. 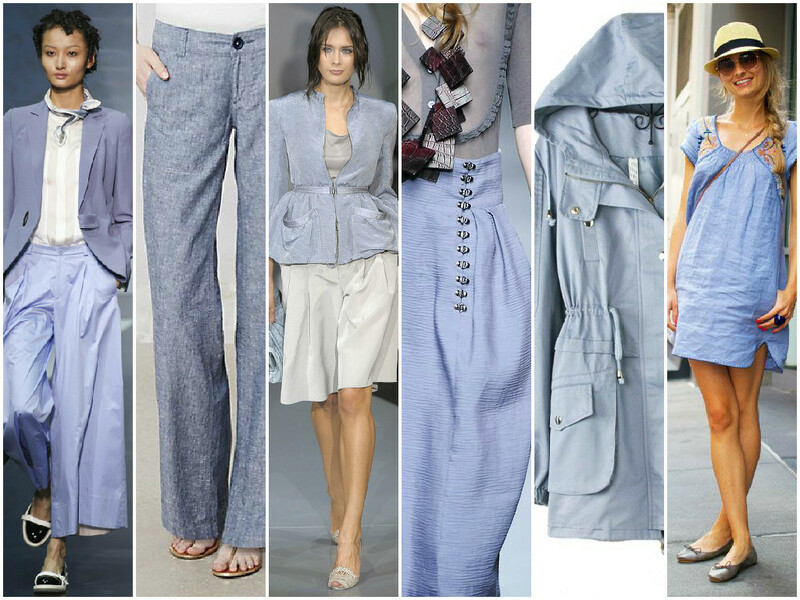 And, a fabulous element that adds to the wearability – this fabric has a bit of elastin in the lengthwise direction. 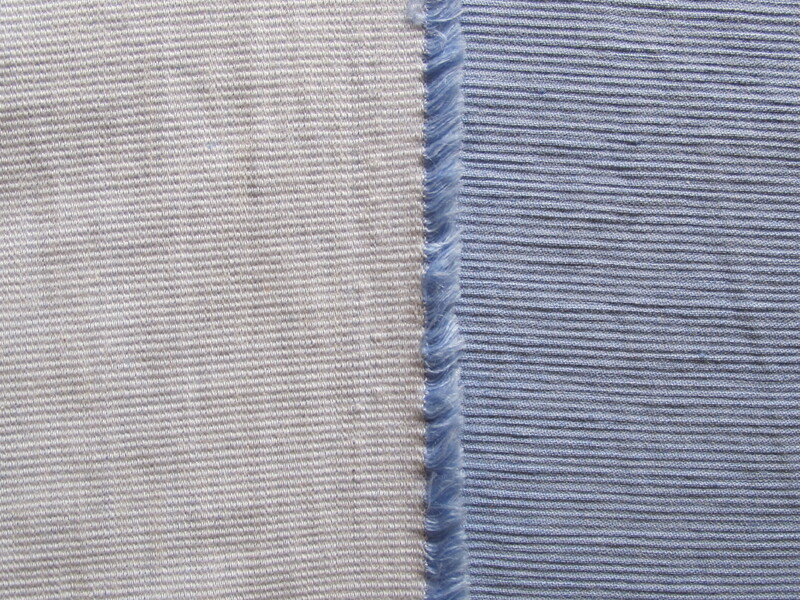 This next image shows the blue side and the reverse side of the fabric. You can see the weave has the slightest corrugations, creating a wonderful textural effect. 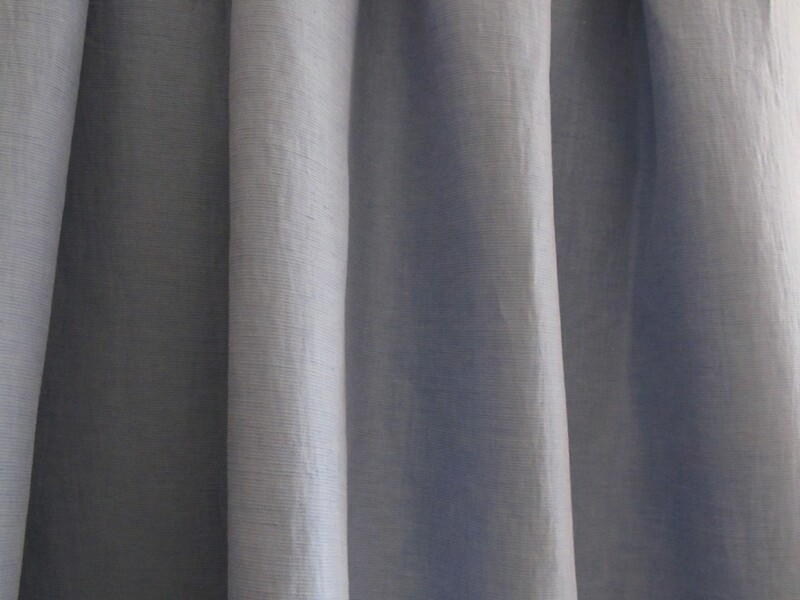 The reverse side of the fabric is an off-white shade tinged with a hint of blue. You could use this side as a contrast for collars, cuffs, bands and so, or for piping. This fabric is medium weight and will take a bit of draping, some folds, but not a huge amount of volume cut into it. Gathers, for example, probably wouldn’t work You could make just about anything with this, from dresses to jackets to skirts and pants. This fabric length is really wide at 165cm, and the length is 2.2 metres. This is another fabric that hails from the fantastic studios of a local designer who is renowned for using on the highest quality fabrics. I’ll also have this fabric coming up in a cream/latte shade and a cream/pale oyster stripe. Just as soon as I can get them photographed. 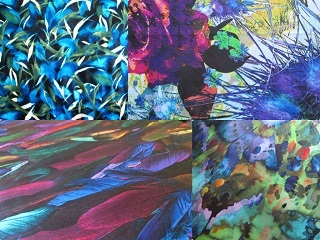 The fabric price is $20 a metre/$40 for the piece. I will need to post this piece in a medium size satchel for $13.40. Please see here for full details on payment and posting. If interested, please click on the email link below; fabric details will appear automatically and I will get back to you asap. (Australia delivery only thanks).